Baahubali which released last year garnered positive response from a lot of circles. Global United Media are the distributors in Kerala and are planning to re release the film sometime in the month of July to celebrate one year of it’s release. When we spoke to Global United Media, they said, "Two of Global United Media’s undertakings are already running in Kerala; Jungle Book and Kammatipaadam. And now Baahubali will get added to the list. We are now planning to re-release it in around 20 screens and more screens are being added"
Meanwhile, Baahubali is having a steady run in France where it was released in a few screens. The dubbed version of Baahubali is also set for a theatrical release in China on the 22nd of July. Stay tuned for further updates. Four Stars for Gautham Vasudev Menon’s next? Vijay Sethupathi fights Ajith’s villain! Pawan Kalyan follows Ajith style? 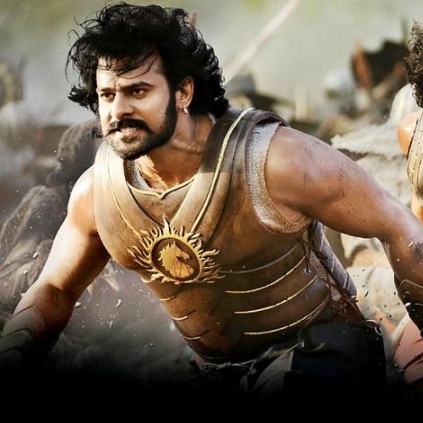 Global United Media Will Be Releasing Baahubali In Kerala In Tamil And Malayalam. Holy Heavens! Save Us From The 'A' Certificate! Dubbing Or Subtitling : Which Works Better? People looking for online information on Baahubali, Global United Media will find this news story useful.